There are regatta support people on site to direct you to parking. 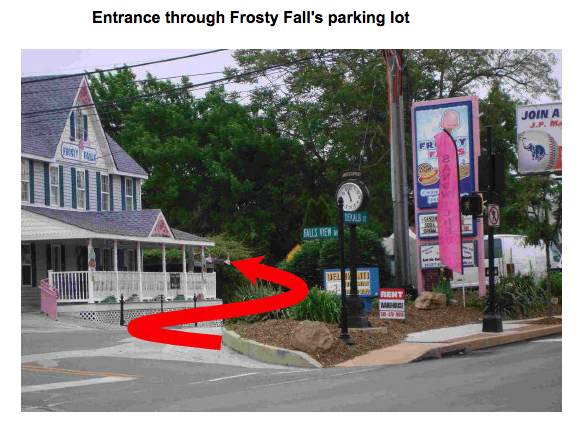 Parking access behind "Frosty Falls" ice cream shop. Race volunteers will guide you. IMPORTANT: make sure you park in a legitimate parking space. Last year, families were duped into paying for spots that were not legit and were towed. We can't tell you specifically where this happened, but be vigilant and ask others that park around you. 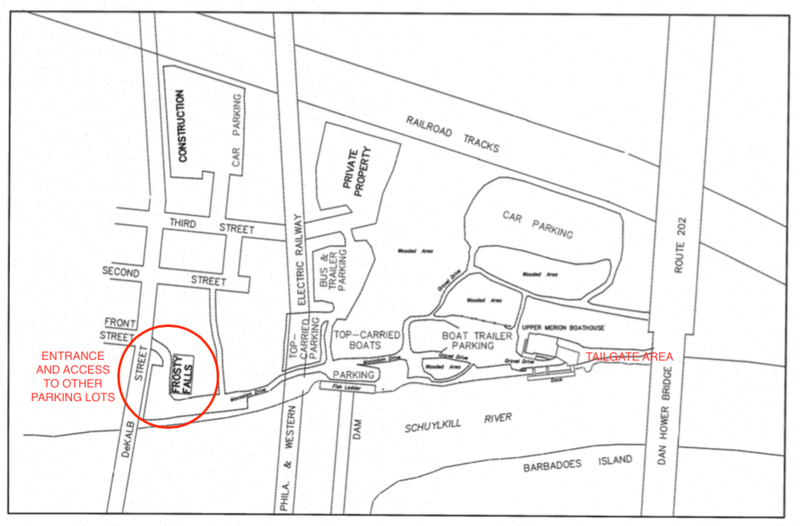 We hope this is a rare occurrence and that race volunteers will guide us to approved parking. Upper Merion website doesn't have much more than what you'll find here.